Did the holiday season sneak up on you again like it did to us? Well, if it did, we’ve got you covered. Whether you’re looking for fun things to do in Cincinnati this holiday season or you’re looking for a quick, last-minute Cincinnati gift card purchase, this article will help ensure that your holiday season runs nice and smooth. So hang your stocking, grab some holiday cookies, and read on for a guide to help you this holiday season! Nothing says Christmas spirit in Cincinnati like ice skating and hot chocolate at Fountain Square. At just $6 for admission and skate rentals for $4 - this is a great, fairly inexpensive way to get out to celebrate the holiday season with the whole family. 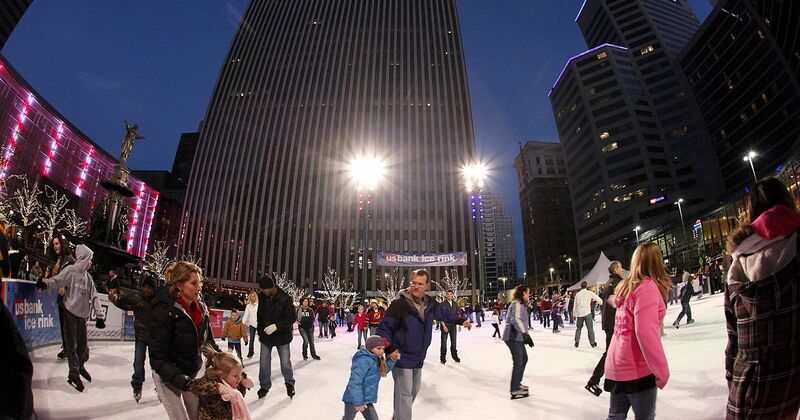 Head on down to Fountain Square, grab some hot drinks, and hit the ice with the family. The annual Macy’s Light Up the Square event in downtown Cincinnati is a must do each holiday season and one of the greatest things to do in Cincinnati with kids. Where Fifth and Vine Streets meet is an annual party that you are not going to want to miss! The event features live music from 2nd Wind Band and a variety of Cincinnati’s food trucks. What more could you need? How about a special appearance from Santa Claus, the lighting of the Macy’s Tree and fireworks powered by Cincinnati Bell Fioptics? Additionally, the ice skating rink will open at 9am with regular admission and normal skate rental pricing! So head on down to Fountain Square to take in the festivities!! 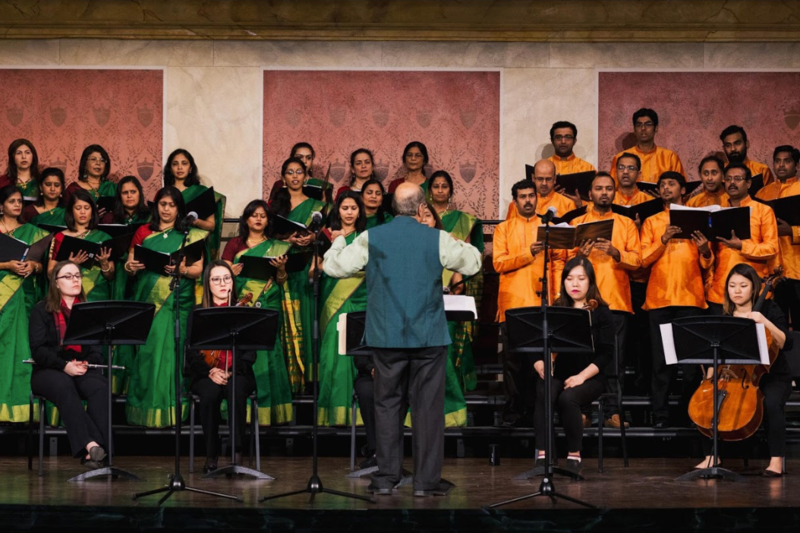 Christmas Saengerfest 2018 is a Christmas tradition in its seventh year and one of the greatest Cincinnati events each holiday season. For 2018, seven amazing venues will host vignette performances from 21 different groups. Performances begin at the top of the hour, beginning at 7pm and ending with the last performance of the night at 10pm each night. A fleet of luxury shuttles will be available between performances to transport you between the different performance locations. No other event offers the opportunity to sample 4 different performances in four different locations in the same night. A perfect way to spend an evening or two with friends and family. Tickets are $30 for adults and children 12 and younger are free with an adult admission. Voted #1 Best gift shop in Cincinnati & #1 Best Boutique Downtown/OTR by Cincinnati Citybeat readers! Perfect for finding that one of a kind gift for that hard to buy for special someone on your list. Nothing chases away the winter chill like a fresh donut and a perfect cup of coffee from this iconic local business. Give your friends, loved ones, and co-workers something they will put to good use this year… a Holtman’s Donuts gift certificate! With 5 locations around town this is the perfect gift that you know will be appreciated. We can all probably agree that we have way too much stuff. So why buy more stuff for the people we love at Christmas? Instead buy your loved ones something that will last forever, an amazing experience that you can share together. We offer an abundance of different tour options from haunted, historic, and underground tours to wine, dessert, and brewery tours. Stop by our website this holiday season and buy your loved ones a gift certificate to one of our amazing Cincinnati tours and make a memory that will last forever. There are many, many more amazing things to do, taste and see in Greater Cincinnati so check back with us as we add more incredible ways to spend your holiday season.